One of the most common dental problems our patients experience are gum-related issues like gingivitis and gum disease — whose symptoms range from bleeding or swollen gums to advanced levels of deterioration. 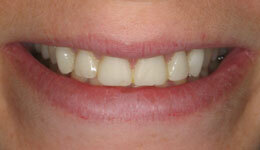 That’s why routine cleaning is a vital part of our practice at Rockefeller Cosmetic Dentistry. 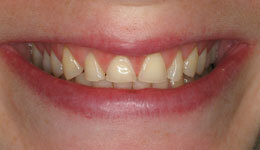 However, sometimes standard cleaning methods aren’t enough to combat the onset of periodontal (gum) disease. That’s where scaling and root planing come in. 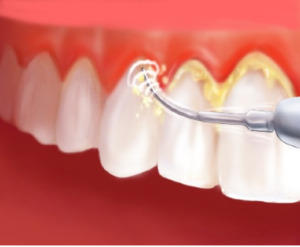 Combined, these two periodontal maintenance methods essentially provide therapy for preventing and combating gum diseases’ early stages. 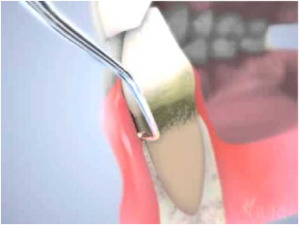 Scaling is a procedure traditionally performed with a scraping instrument that removes plaque and calculus (tartar, a calcified mass on plaque) from below your gum line. 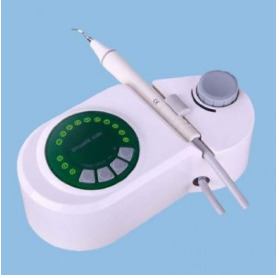 Here at our Manhattan dentist office, we use only the latest in scaling technology, an ultrasonic tool, which makes for a more comfortable and effective process. However, sometimes a combination of ultrasonic and manual tools is necessary to remove all plaque and achieve the best results. 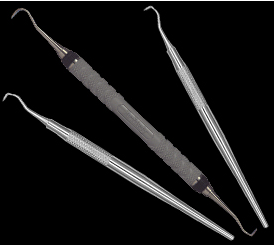 Hand scalers are simple, differently sized instruments used according to the the tooth receiving treatment. 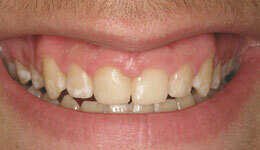 These scrape the tooth surface, chiseling off calculus and plaque. On the other hand, Root Planing is used to smooth teeth’s surfaces below the gumline — basically a gentle sanding of the teeth. These rough spots (often calculus) on the teeth are high risk spots for bacteria growth, and root planing works to remove them before they can cause any further damage. 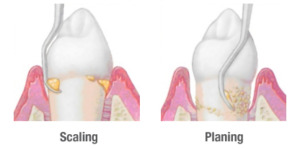 Due to the discomfort often associated with planing (because of its involvement with the area below the gum line), a local anesthetic is often applied to numb the gums and surrounding area, allowing you the patient to feel more relaxed and your dentist to be more precise in treating the problem area. Prevents Cavities. The removal of tartar curtails the creation of cavities and gingival disease. 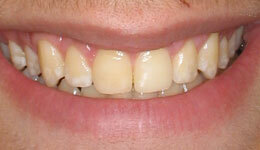 Allows gum disease to heal. 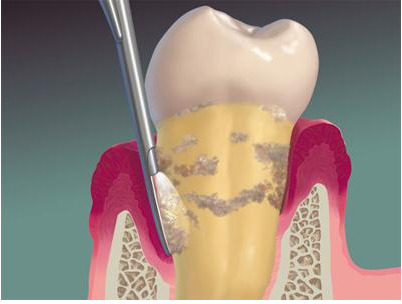 If gingival or periodontal disease is already present, the removal of calculus will allow the gums to heal and get rid of disease-causing bacteria all at once. Fixes bleeding gums, bad breath, and irritated or sore roots by removing the calculus buildup which oftentimes causes these symptoms. If your gums are sore, inflamed, or bleeding or you suffer from gum pain in any way, chances are you are experiencing the early (or later) signs of periodontal disease. If this is the case, regular cleaning (even brushing, flossing, and antiseptic rinses) will not completely fix the issue. Give our midtown cosmetic dentist office a call at (212) 581-1091 or visit our consultation page to request a meeting with one of our qualified periodontists. For more information on treating gum disease, its causes and symptoms, and our different procedures, please visit our gum disease website. If, however, you are looking to perform cosmetic gum surgery like gummy smile reduction, visit our cosmetic gum procedures site instead!